The health care industry continues to experience rapid change as the result of health care reform at the state and national level. Hospitals and physicians are at risk for a portion of their payments based on quality and efficiency metrics. New insurance products are resulting in higher out-of-pocket costs to the consumer and flat or reduced payment rates to providers. These changes compel providers to develop new models of care that require significant investments in technology, facilities, and additional case managers and clinicians. 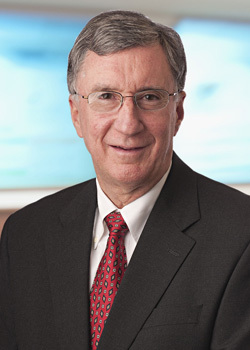 These changes also result in significant increases in mergers and partnerships as organizations prepare for future challenges, including cost containment and population health management. The industry challenges have resulted in Moody’s Investor Service issuing a negative outlook for the not-for-profit hospital sector. In spite of the challenges, Baystate Health, Inc. and subsidiaries’ financial performance remains stable with operating margins in the 2.7 to 3.4 percent range over the past five years and ratings remaining at previous levels; A+ for S&P/Fitch and A2 for Moody’s. 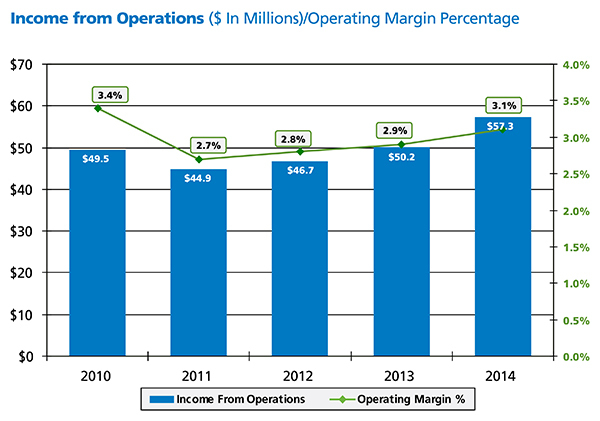 Baystate Health reported income from operations of $57.3 million (3.1 percent operating margin) for the year ended September 30, 2014 as compared to operating income of $50.2 million (2.9 percent operating margin) in fiscal 2013. The operating margin provides significant funding for the capital budget (such as new equipment and technology) each year. 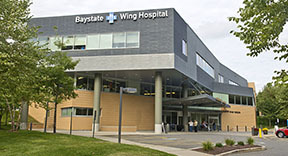 The fiscal 2014 performance includes the balance sheet and one month of financial results for Baystate Wing Hospital (formerly Wing Memorial Hospital) which Baystate Health acquired from UMass Memorial Health Care on September 1, 2014. Baystate Wing Hospital and Baystate Mary Lane Hospital together serve Baystate Health’s eastern region. 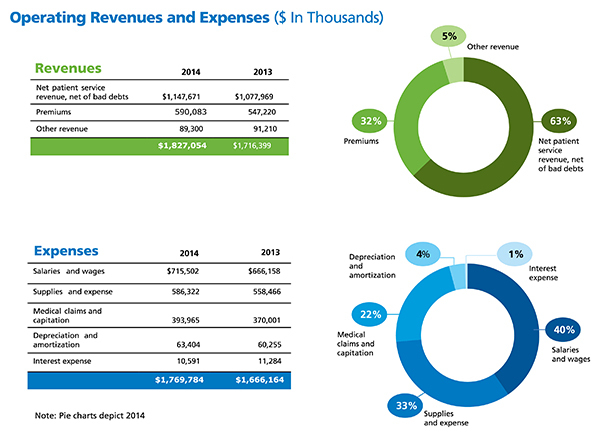 Total operating revenues increased by 6.4 percent in 2014 compared to 2013 due to growth in Health New England (HNE) membership which now exceeds 141,000 covered lives. In addition, Baystate Medical Center (BMC) and Baystate Franklin Medical Center (BFMC) realized growth in revenues due to increased inpatient volumes, unlike the vast majority of the hospitals in Massachusetts. 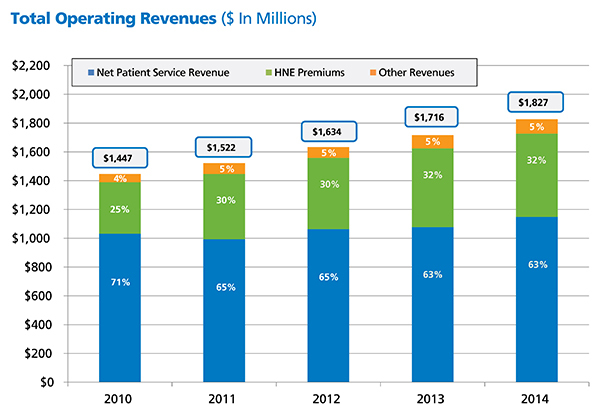 Total operating expenses increased by 6.2 percent in 2014 due to the higher cost of care associated with greater volume and additional medical claims at HNE resulting from increased membership. 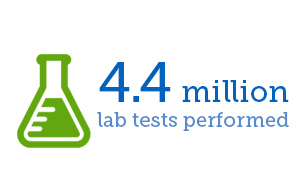 Baystate Health relies on the operating margin to invest in technology, equipment, facilities, and programs that improve care and benefit the people in our communities. 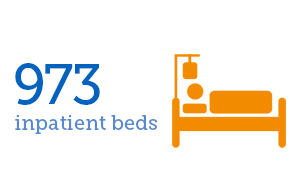 This year we invested almost $47 million in our annual capital budget for clinical programs, facilities, and information systems. In addition, construction has begun on a $55 million addition to BMC for surgical inpatients and a new pharmacy. Construction has also begun on a $25 million surgery modernization project at BFMC. Our commitment to caring for the uninsured and underinsured members of our community continues as Baystate Health often absorbs the cost of that care. 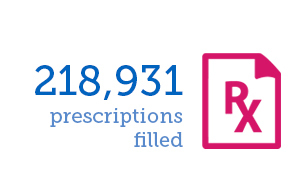 Baystate Health continues to invest in our community by serving as one of the largest Medicaid providers in the state, despite reimbursement rates well below cost. 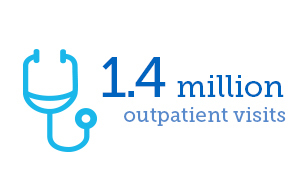 In total, Baystate Health provided unreimbursed care to our patients at a cost of more than $112 million. 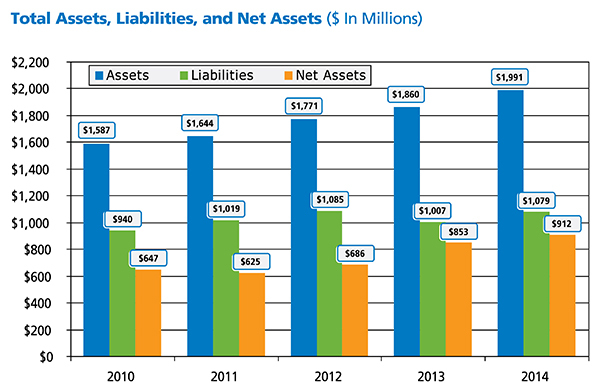 Baystate Health performs well by strategically and financially planning for changes. Ongoing financial strategies include revenue diversification, scrutinizing potential partnership opportunities, investing in quality initiatives, and market expansion of HNE. In addition, our financial strategies support our commitment to high quality, patient-centered and high value care throughout the region. Our independent public accountants, Deloitte & Touche LLP, have completed an audit of Baystate Health’s financial statements for the fiscal year ended 2014 and issued an unqualified opinion. “The culture here embodies respect, dignity, and diversity." Read all of the Highlights.